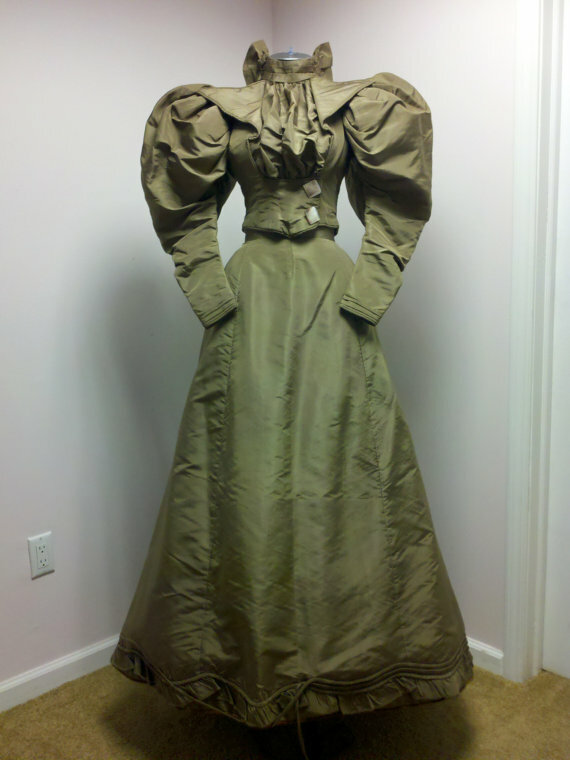 All The Pretty Dresses: Hello, 1890's! 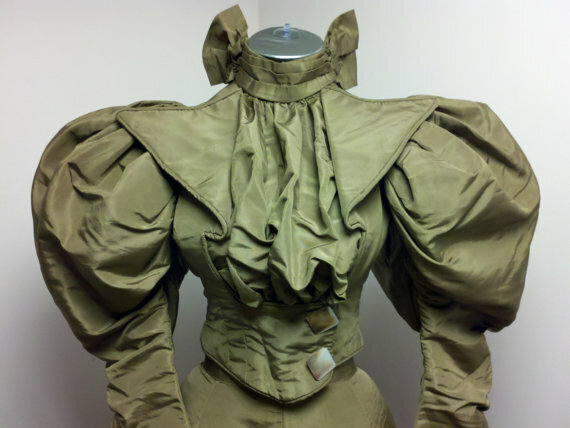 ~ Pouter Pigeon, boned bodice. ~ Stunning, leg o’ mutton sleeves. 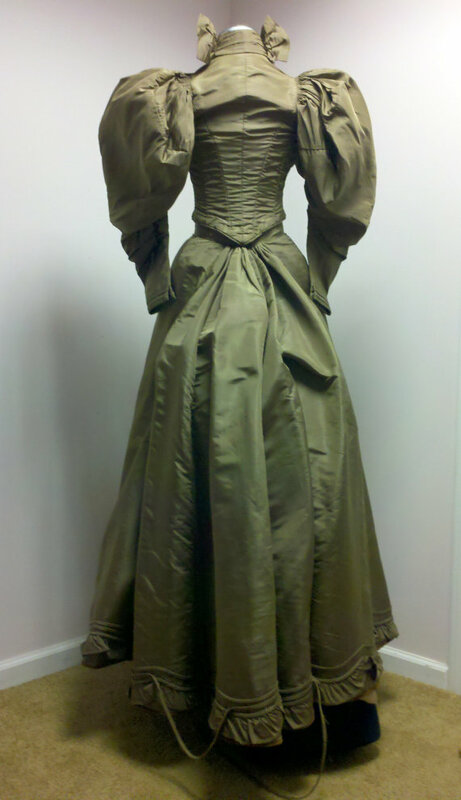 ~ Garment is made of copper brown, silk taffeta fabric. Fabric is in excellent condition. 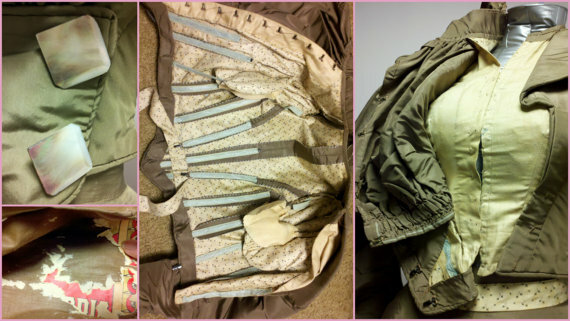 ~ Garment fastens with hook and eye closures. Abalone buttons on jacket are decorative. LABEL/MAKER: There appears to be remnants of some type of paper (label?) on inside of skirt. CONDITION: This garment is in VERY GOOD TO EXCELLENT vintage condition with no stains, odors or holes. There are some very minor tears to lining of jacket where the boning/stays end (please see last photo); just a few stitches needed in some areas of seam separation (please see last photo); the decorative trim/ribbon needs to be stitched back in place on bottom of skirt (please see last photo). Fits like a modern size: 0 to 2, but please consider fit by actual measurements of garment listed below. Oh yes. I'm going with 1893/1894 for this lovely.